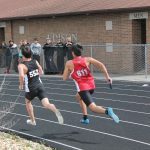 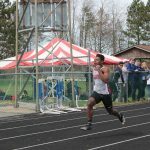 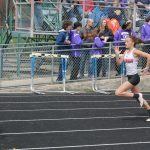 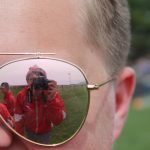 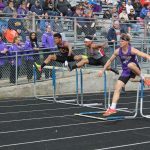 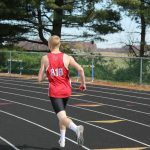 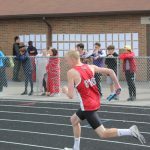 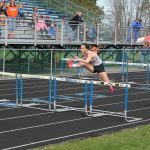 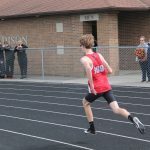 Another historic school record was set at the Edison Invite on Saturday, and it was one that stood untouched for almost 40 years. 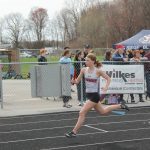 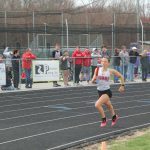 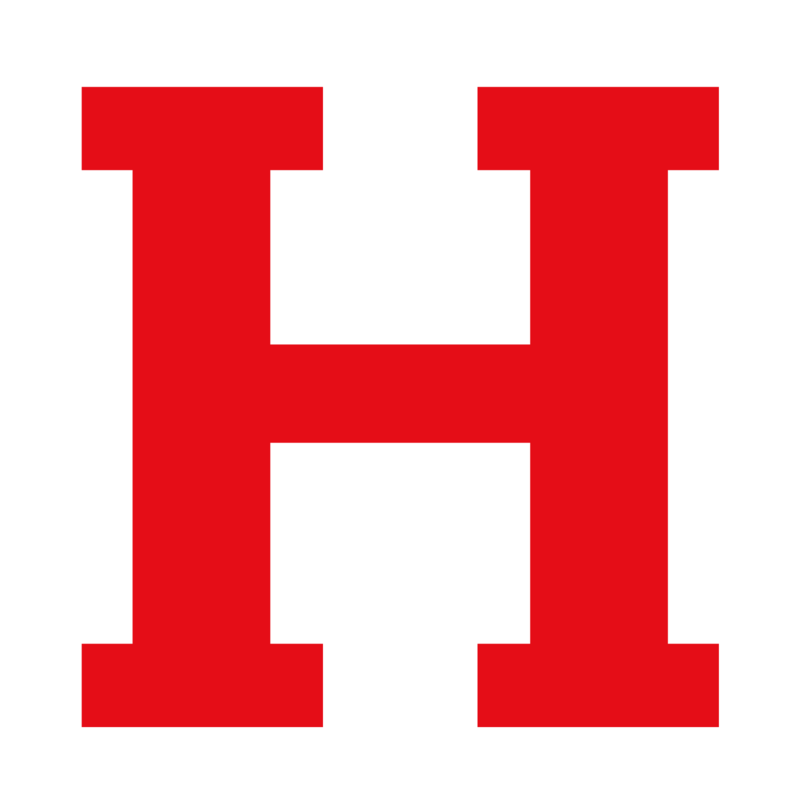 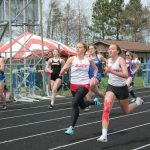 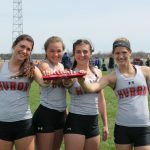 The girls 4x100m relay team of Hunter Garbe, Virginia Spitzley, Bridgette Gerber-Winschel, and Isabella Cozzie ran a 50.88, destroying the school record (51.6) that was set back in 1980 by M. Perdue, M. Majoy, K. Majoy, and S. Slivka, and it was tied in 1999 by R.Buzzard, C. Lively, M. Sanders, and A. Spitler. 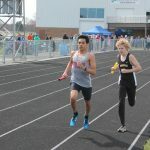 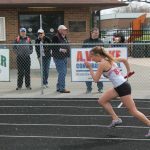 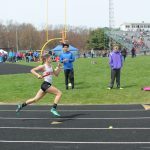 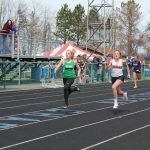 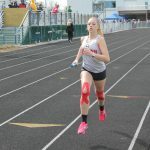 The quartet won the event in dramatic fashion as freshman Isabella Cozzie came from behind to edge out Margaretta’s anchor leg. 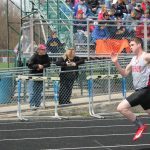 This comes on the heels of Hunter Garbe’s record breaking run in the 100H on Tuesday at the Edison dual meet. 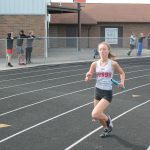 The girls team finished 3rd overall with plenty of solid performances, starting with a 6th place finish by the 4×800 team of Corinne Steuk, Kennedy Crow, Nina Schaefer, and Ximena Vazquez, running a time of 11:47.20. 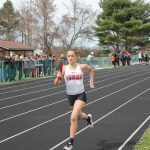 Hunter Garbe followed that up with a 2nd place finish in the 100H with a time of 16.87, while freshman standout Isabella Cozzie’s time of 13.11 (lifetime best) secured a 2nd place finish in the 100m. 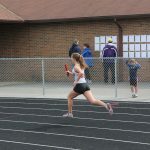 In the 4×200 relay, Garbe, Spitzley, Gerber-Winschel, and Cozzie just missed winning the event, finishing 2nd with a season best time of 1:49.90, while Steuk added a 5th place finish in the 1600m, running a lifetime best 5:52.01. 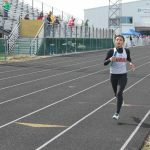 Although she did not place, freshman Ximena Vazquez ran a lifetime best in the 400m with a time of 1:16.32. 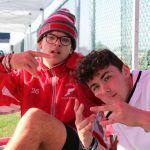 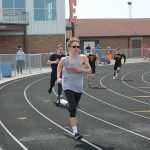 Garbe added another 1st place finish in the 300H, winning easily with a time of 48.47, and Cozzie racked up another 2nd place finish in the 200m, running a 27.61. 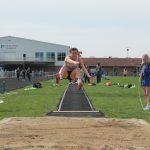 Scoring for the Tigers in the field events were Bridgette Gerber-Winschel, placing 2nd in the long jump with a lifetime best of 15’2.50″, and Emma Golling placing 8th in the high jump with a height of 4’8″. 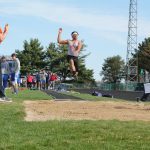 Not placing, but setting two lifetime bests in the long jump was freshman Emily Franks, with leaps of 14’0 and 14’3″. 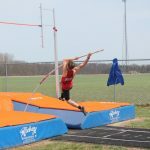 Finishing the scoring by securing 4th in the pole vault was Kylie Obergefell with a vault of 10′ even, and not placing but throwing lifetime bests were freshman discus throwers Sammie Orosco (54’7″) and Denise Sherer (54’4″). 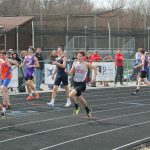 On the boys side they were a bit thin as a significant amount of contributors were on the junior class trip, but there were some notable performances and it was great, big meet experience for some of the younger athletes. 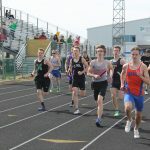 Leading off the scoring was the 4×800 team of Eli Routh, Nick Pack, Zach Weyer, and Sal Sherer, placing 5th with a season best time of 8:52.20. 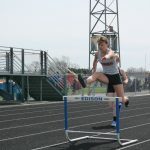 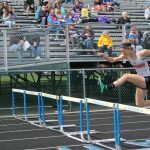 Terry Porter overcame some interference from another competitor on multiple occasions throughout the 110H race to finish 4th with a time of 17.04. 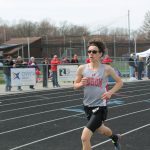 In the 1600m, Eli Routh ran a lifetime best of 4:56.75, while teammate Sal Sherer barely edged him out with a season best time of 4:54.31. 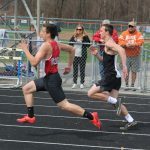 Colin Eck had a huge four second PR in the 400m, running a 58.72 from lane 8, and his brother Jacob also PR’d with a time of 56.62, narrowly missing out on scoring 8th place. 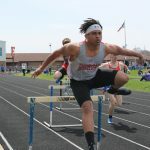 Terry Porter followed up his 4th place finish in the 110H with a 5th place in the 300H with a season best time of 45.45. 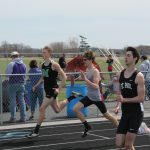 Sophomores Zach Weyer and Nick Pack scored in the 800m, placing 5th and 6th with times of 2:14.20 (lifetime best) and 2:14.58. 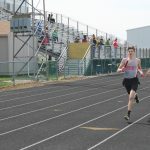 J.J. Holliday ran a lifetime best in the 200m, finishing with a time of 25.82, taking over half a second off of his previous best. 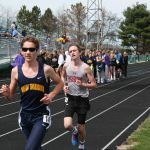 In the 3200m, sophomore Andrew Scherley and freshman Pearson Keller shaved off 30 seconds from their previous bests, running 11:35.70 and 11:45.75, respectively. 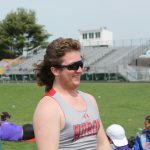 In the field events, Noah Woodruff led the scoring with two personal bests in the discus, finishing in 4th with a massive 20 foot PR of 133’09”. 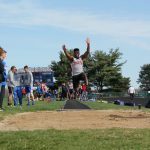 Woodruff followed that up with a 4th place finish in the shot put with a throw of 44’6.5″, while freshman Kegan Reyes threw a personal best with a throw of 31’10”. 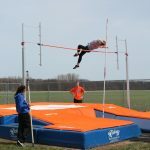 Quin Spitzley finished out the field events with a lifetime best vault of 9’6″, and the Tigers finished 9th as a team. 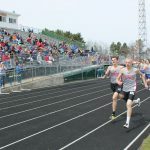 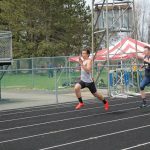 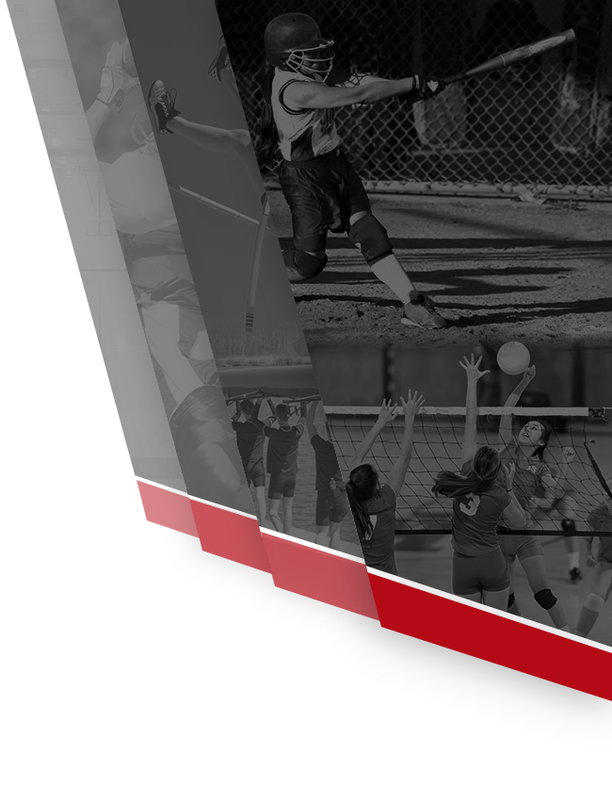 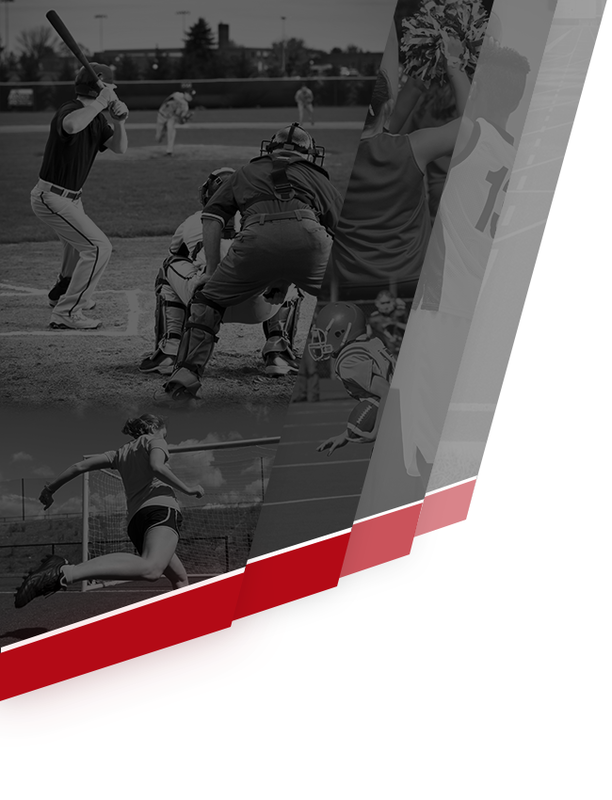 Both teams travel to Vermilion High School on Tuesday, April 16th for a dual meet, and thank you as always for your support!